Whether you have a cat or a dog there are doormats for you. Great conversation starter and an awesome novelty doormat. Who knows maybe your pet will score five pounds of meat. 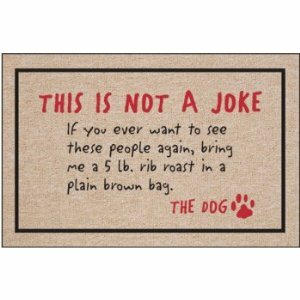 A light and easy to clean doormat ready to go and get a laugh when people step through your door.